Today’s Thing I Like is nonfiction writing in general, and author Mary Roach in particular. If you aren’t familiar with her work, check out the books linked below or this interview with Seth Shostak at SETICon 2012. Nonfiction can be a fiction writer’s best friend. At its best, it includes detailed, character-driven explorations of real-life situations and challenges, and can provide the sort of solid foundation a more speculative piece needs to succeed. I’ve mentioned this before, but avoiding abstractitis is key to good writing. No matter how abstract your topic, how intangible, your first step is to find things you can drop on your foot. Nonfiction helps you do that, and Mary Roach is a great example of a quality nonfiction writer. I have yet to read all of Roach’s books but Gulp: Adventures on the Alimentary Canal and Packing for Mars: The Curious Science of Life in the Void were terrific. Her books take a somewhat off-beat topic and delve in, deep. She’s also funny. The level of detail is satisfying and succeeds in painting an engaging portrait of her subject that is also educational. Packing for Mars, for example, is a great way for writers to familiarize themselves with the nitty gritty of space exploration, how we got to where we are now, and how we’ll get to where we’re going. To note, if you’re interested in popular nonfiction about the intricacies of digestion or Mars exploration, check out Giulia Enders’ excellent Gut: The Inside Story of Our Body’s Most Underrated Organ, and Steve Squyres’ Roving Mars: Spirit, Opportunity, and the Exploration of the Red Planet. 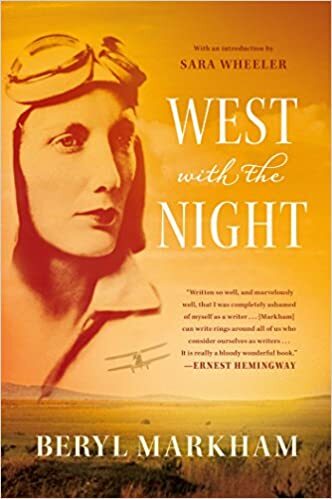 Today’s #ThingILike* is West with the Night, a fabulous piece of non-fiction first published in 1942 by bush pilot, adventurer and racehorse trainer Beryl Markham. I picked it up in a second-hand store on the strength of the title and the back cover blurb. I’d never heard of the author, but when Ernest Hemingway says he wishes he could write so well, I pay attention. Glad I did. * Again, items in this series of Things I Like are linked for your information; no sponsors, no kickbacks, just a sampling of things that I find useful or fun or funny or sweet. I came across my In Case of Emergency folder the other day. You know, the one where you list your contacts and funeral preferences and the user names for all those Gmail accounts. Yeah, that folder. I also found a note, written ages ago, and decided it was stupid to wait until my own demise (or the heat death of the universe, whichever comes first) to say it, because You Just Never Know. Here at the end of another year seems like a good time to share. I probably haven’t said this often enough, certainly not as often as you all deserve. I love you. Always have, always will. You are all so interesting and complicated and heart-achingly wonderful. New Zealand winters are gray and damp from what I can tell, but change to bright sun in a surprisingly short time. The steam from the sulfurous ground vents here in Rotorua blends with the misty air and settles in a chill layer on my skin. We checked out of the Sheraton early and cruised the main street in town looking for breakfast. The perfect spot turned out to be the Nomad Café, run with sloppy panache by a couple of middle-aged traveler types with style. The food was cheap, plentiful and very good, and came with a side of email thanks to the array of computers in the back. While we ate breakfast and planned the day our laundry was being done in a wash and fold storefront next door. The perfect arrangement. Our next stop was the Maori village. As we pulled up a tour was just leaving, so we rushed over in time to hear the guide describe what it’s like to live in a village where the ground is hot enough to bake potatoes. I had a great time being deliciously scared by the steam vents, the boiling pools of crystalline blue water, and the pit of volcanic mud bubbling viscously away. The pools are different temperatures depending on the source of the water, and can change size and temperature based on geologic shifts but are generally stable. 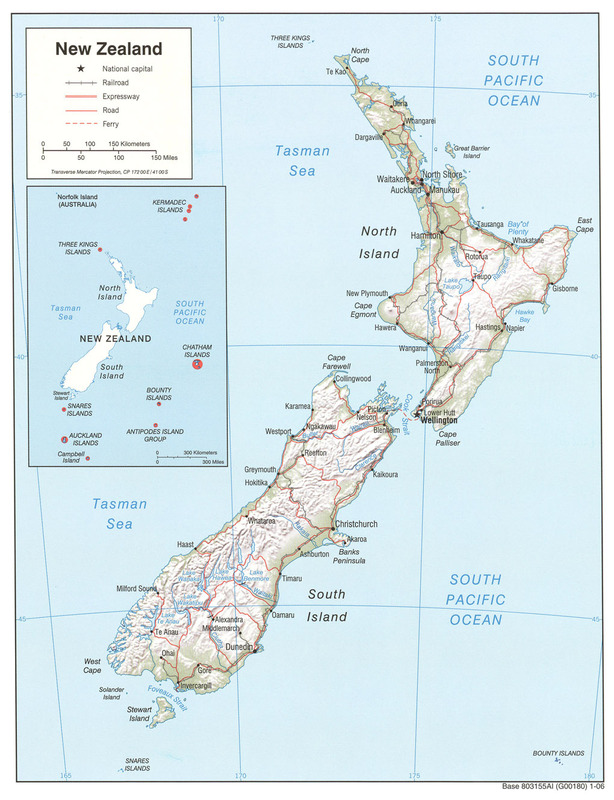 The Maori use the hot water for bathing, cooking, and heating. After the tour we shopped a bit, didn’t eat corn boiled in the pools out of respect for Maureen’s delicate sensibilities, and headed over to the meeting house for a traditional dance demonstration. The meeting house itself was an unremarkable concrete block distinguished only by its entryway. Carved wooden beams framed the roof’s eaves, window, door, and supported the roof’s center. These beams symbolize Maori ancestors’ arms, eye, mouth and heart protecting the village. While potentially hokey at times, the song and dance performance was compelling. Men, women, and several children in training lined up three rows deep at the front of the meeting house wearing traditional dress. The grass skirts did not hide the dark tattoos or obstruct the whirling pompom balls the women swung like bolos. The men’s deep, often booming chants supported the women’s melodic harmonies. A Polynesian-style guitar played backup. It sounded a lot like a very pissed-off Hawaiian band, actually. Fun. We bummed around town for a bit after leaving the village, picked up the laundry, stopped into the Old Bath House where visitors were treated to hot water treatments, and went to a park with steam rising from vents near the swing set. The sulfur smell oozed from the steam vents and flowed through town, never entirely disappearing. The top news story in my paper this morning was about an aging actress found dead in her ground-floor room at the Sulfur City Motel. Apparent cause of death: suffocating levels of sulfurous fumes in her room. The plan for the day was to sightsee, driving north to the coast until we felt like stopping. The scenery on the road out of Rotorua was beautiful green forest around a lakeside. Dad, ever alert, swerved to look at a flock of black swans and again for a fabulous group of peacocks. That last brightened up the creatively named “Hell’s Gate,” a geologic hot spot where we pulled over and walked among bubbling evidence of the fire below. For a few dollars we were allowed to risk our lives on paths winding through steam vents, hot pools, boiling mud, and sulfurous fumes. All walkways had been reinforced against collapse using lumber and stone, which made me feel a little better about the “Don’t leave the path” and “You’re risking your life – We’re not kidding!” signs everywhere. My brother would have loved it. The rest of the drive was pleasant and involved a lot of careening up and down and around to the coast. Evidence of logging was everywhere for a while and there were large swaths of land devoid even of sheep. Farm animals were more common near the coast and included fun herds of ostrich and some unidentifiable herd animals that reminded me of deer. Maureen found a likely stopping place in the guidebook and we headed up Route 2 to the Bay of Plenty. Mt. Maunganui is a beach town, about three blocks wide running the length of the beach. As luck would have it we came to the water just at sunset. Everyone else hopped out to look at the waves while I stayed in the car to nurse my stomach, grateful for a break from the winding road. Next thing I knew they’d all disappeared. I sat in the car getting colder, peering out into the dimming light wondering if we’d stumbled into a town of mass murderers. Just as my paranoia was reaching the point when I’d have to jump out of the car and be captured myself they came back, all smiles. It seems we’d had the good fortune to stop right between two beachfront hotels. One was a collection of luxury condos let out to lucky souls like ourselves. In no time I was inside the top floor of the Belle Mar, running between the three bedrooms, huge living room, spa, two bathrooms, and a kitchen with Italian fixtures. The place was wonderful, had everything you’d want in a luxury apartment, and was so fabulous that we decided to stay for our last two nights in New Zealand. The apartment even had a washer that was also a dryer, full sets of cutlery and dishware, and a big broad balcony running the length of the building. Wide windows looked out on both the mountain crowning our little peninsula and the beach with its necklace of islands. All this for NZ$175, or around $85 a night. What a find! What a great day! Yesterday we spent time with the Rock, today we survived the Olgas! For the next five hours we hiked, scrambled, birded and panted through a gorgeous trail of red rock and almost voluptuous desert flora. The fauna (broadly speaking) weren’t bad either – I saw lizards and insects and tons of birds. As of this evening I’m the proud sighter of a handful of beautiful blue green black Port Lincoln parrots, a very chatty pallid cuckoo, and tons of delightful little zebra finches with orange beaks and rouged cheeks and striped tails. Outside right now I’m listening to the cries of wild dingoes in the desert. The Olgas’ scenery was dramatic and varied, with changeable clouds overhead conveniently shielding our skin from the worst of the sun’s rays. Buoyed by the day’s beauty and the presence of three Snickers bars in my pack we opted for the full 7.6 km route. It was a perfect day hike. The whole circuit took a lot longer than planned but the greenery and birds and interactivity of the place kept my attention. It was 1.6 klicks to the burnt-out tree, another kilometer to the lookout over both sides of the valley pass. Winding down out of the lookout valley the trail hugged the base of the main “Olga” and swept through a sheltered but open plain. The next two kilometers led over low hills and down stream beds, past uprooted trees and wildflower fields. Two point four klicks from the car we found a rain-fed water tank and rested in its shade. The water drew birds to the trees around the tank and dozens of zebra finches braved our presence for a chance to enjoy the wet concrete under the tank’s tap. I watched the finches chatter and flit around the water spout, waiting for us to release a few drops of the precious fluid to replenish their bath. Five o’clock found us hot and tired back at the hotel, where we devoured the rest of our groceries. Bryan’s brie and salami were a huge hit with me, and everyone enjoyed the nacho cheese Doritos, leftover pizza, and roasted chicken-flavored chips. All washed down of course with vodka tonics from Bryan’s birthday bottle. A nice little happy hour, complete with sunset. Back to our favorite restaurant. Between us we had the lamb, veal, lasagna, gnocchi, and of course more salad. I love being in countries where you don’t have to worry about water or fresh vegetables. We came home for a beer with the (one-man) band and closed down the Outback Bar at 10 p.m. While I’ve been writing it has started and stopped raining. The drops sounded loud on the porch overhang and came down fast, but tapered off quickly. This is a very nice place, despite the price and lack of amenities and nightlife. I’ve always liked the desert, even with snakes and scorpions (and the fact that I like the East Coast smell of worms after rain because it tells me that the earth is alive). The desert is never as empty as it seems, and it’s full of survivors like the yellow flowering shrubs and pink-gray star flowers lining the paths today. Tomorrow we move on to Sydney and true Australian winter. I’m looking forward to seeing what a city’s like here and to running water in my room. I also think, deep in my touristy heart of hearts, that it’s going to be damn cool to see the Sydney Opera House. There! I said it! Today is an Uluru day. We all piled into the wagon and drove the few miles to Uluru National Park. We bought three-day park passes and entered an area that looked just as dry and scrubby as that we’d just come from. The only access was by a two-lane highway rimmed with red dirt. The earth here is made of an iron oxide that practically glows, and the wetter-than-usual weather has kept greenery alive against the red backdrop. There are a surprising number of trees here for a desert, and the low shrubs are showing off a variety of colored flowers. Pulling into the Cultural Center’s parking lot I saw that Frank Lloyd Wright’s got nothing on aboriginal architects. The Center was so integrated into the landscape that it was hard to even see. Red sand paths through low bushes showed us the way to a collection of low buildings with fluid walls and no visibly straight lines. The roofs were thatched grass held in rounded shape by discrete applications of chicken wire. Smooth red brick blended into the landscape and framed native murals, which depicted the myths played out on the Rock. The great snake goddess who came here to avenge her nephew. The monster sent to kill a whole tribe. The waterhole guarded by a spirit with the power of life or death. All these things have left their mark on the Rock’s surface, and are recorded so that the natives remember Proper Way, or Tjukuru tribal law (I think that’s how it’s spelled). Do what the law says and all will be well. Step out of line and there’s no telling what might happen. Nothing good. The afternoon perked up with the arrival of an aboriginal tour guide named Millie and her Anglo mouthpiece Megan. We joined the 3:15 tour starting at the Cultural Center and heard tell of the legends surrounding Uluru and how the locals lived before White Fella came to town. Megan, a white Aussie in her 30s, translated what Millie had to tell us about the lives of the spirits and the natives who remember them. Everything Megan said began with “Millie says that.” For a good while I thought that Millie was just for show and that I was witnessing a classic example of cultural appropriation. By the end of the tour, though, it seemed clear that Megan, while knowing her stories pretty well, was often prompted and corrected by Millie. Millie didn’t say much, but she was definitely listening. The tour left from the Cultural Center and moved on to the Water Hole just next to Uluru. We were shown cave paintings that Millie explained as parts of The Law’s stories. The drawings, like those we saw in Kakadu, were the 10,000 year-old equivalent of a school blackboard. Elders would paint the walls and tell stories to educate children in the Proper Way. That was the way tribal custom and behavior was passed on, Millie said, in the “naked days” before the white man came. Megan also produced a number of film canisters containing edible or medicinal plants used by aborigines. We all sat in a circle and everyone but Maureen tasted the offerings, at least until Dad found a chunk of glass in his bush plum. Where the hell did that come from? I kept looking and smelling, but didn’t taste after that. At the end of the tour Millie decided she liked our group and let us pose with her for photos. We left the Center near sunset and had the perfect opportunity to stop at the Sunset Viewing Site just off the road. Of course, everyone else had the same idea. The sunset wasn’t much more spectacular than the one last night from the hill behind the hotel, but we were a lot closer. The Rock didn’t care if we could see purple and red highlights on its flanks, it knew there’d be other times, other sunsets. Half an hour later, convinced by a quick visit to the other fancy restaurant that our first choice was the best, we sat down to a nice dinner. Bryan had oven-fired pizza, Maureen linguini with shrimp, Dad the creamy duck and gnocchi, and I had salmon with risotto and a huge Mediterranean salad. Two days of chicken nuggets and fries had pushed me to the edge and I wanted greenery bad. The cool green cucumber in my salad went beautifully with the Kalamata olives. We also tried the Clancy wine, a red blend of cabernet, merlot, shiraz and who knows what else. It was a big hit. For dessert I invented the “lattea,” a cup of tea with hot foamed milk. (Ok, it’s a tea latte, but tell me lattea isn’t a better name:) It took some explaining but the waitress managed to translate my request into a steaming hot cup of delightfully restorative beverage. The perfect end to a fascinating day. Today was my first real day in Australia. I woke early and showered, then walked to a car rental place down the street and picked up a car. It’s a Camry with the steering wheel on the right (meaning wrong!) side. Weird, but fine once I got used to it. I rescued my incredibly resilient brother from the jaws of the commercial aviation system, checked out of the hotel and started driving east. I took a left toward Humpty Doo and cruised down the Arnhem Highway. There aren’t that many roads up here so getting lost wasn’t as much of a problem as finding places to refuel. In these isolated parts the petrol stations are like souped-up 7-11s back home. They’ve got everything from gas to snacks to a lunch counter complete with short order cook. My brother bought an amazingly large and leaky hamburger with everything on it (we’re talking usual condiments like cheese, lettuce, tomato, onion, mustard, ketchup, but also Thousand Island dressing, ham, pickled beets and a whole fried egg!). I had toast with peanut butter and everyone was happy. It’s about three hours from Darwin to the Kakadu Park hotel where we were staying and I drove, pleased that being on the wrong side of the road was really no big deal. Keep left, look right, that’s my motto. I didn’t sweat it at all, except for that one time when I may have clipped a highway reflector post with the passenger-side mirror. Fortunately, both objects involved were spring-mounted. No harm done! We pulled into the hotel mid-afternoon and found Dad and Step-Mo out by the pool. After halloos and stories, Dad joined us on a two-hour billabong boat tour where I saw two crocodiles, a ton of birds, and a sunset. I took many pictures. I was not eaten. The road back to the hotel ran through scrubby trees and dense undergrowth, all of which exuded more elegance than during the day. The magnificent headdress of stars certainly helped. We had dinner at the hotel restaurant (kangaroo isn’t so bad, really), drinks at the bar, then called it a night. I couldn’t stand to be behind in my writing anymore though, so I’m up and pleased to be back on track. Spotted today: white parrots, a long lizard, three big monitor-type lizards with purple tongues (by the pool), a kangaroo (dead), big snake (dead), a wallaby (alive), biting insects galore, and the Southern Cross – beautiful!